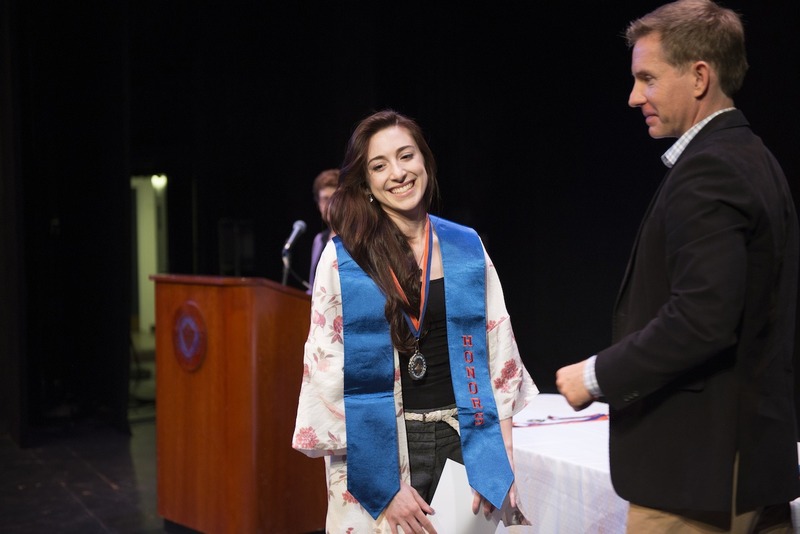 Melissa Warren (Creative Writing, ’14) took this literary advice seriously during her undergraduate career at New Paltz, up until her senior year, when she decided to breathe new life into some long-expired phrases. “I was sitting down to start all these new poems, and I realized that I had all of these scraps of things that I did from the past,” said Warren. She’d saved her darlings in Word documents, on sticky notes, and scraps of paper. Others had been floating around in her head for years. Previously discarded phrases such as “we crystallized” and “soft enough to die here” form the foundations of poems that explore themes of reason versus emotion, presence versus absence, romantic and familial relationships. that I can’t cope with one bird’s chirp. In reanimating her previously murdered darlings, Warren found herself murdering still more. She has a notebook of 100 pages of drafts for her collection, which contain phrases that tickled her fancy, yet didn’t quite fit in her newest poems. “They are there if I ever want to return to them,” she said. Warren takes a thoughtful approach to writing. In her poetry classes, Warren learned that “a poem is something you have to live with for a while. It’s something you spend time with and you get to know.” Some of the poems in “Darlings Reincarnate” took weeks to write, and others, months. “I like to land on a version that I’m happy with and then set it aside for weeks or months or years,” said Warren, noting that she hopes to “explore further” a few poems in the collection that aren’t quite finished. Though she is pleased to see her style develop, Warren, who plans to pursue a career in the publishing industry, is reluctant to call herself a poet.